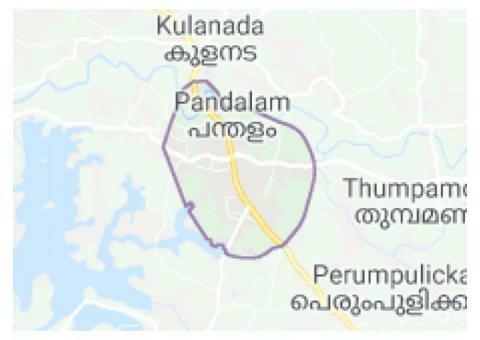 I am writing this from a place very far away from Pandalam. I am writing from Dubai. I happened to visit the Pandalam public market, to buy a few items, a year back. I could not buy anything unless I closed my two nostrils (mook) due to bad smells from the nearby waste land, where you people dumped the chicken waste. The flies were everywhere, the women who sell grocery items has to waved her one hand to keep the flies away from her items. What are you doing in the Municipality my dear, if you can't clean the heart of the city? You claimed that the Pandalam is the holy town of Lord Ayyappa. Shame on you lazy dump people. The recent flood is a nature call. Now it is a good opportunity to clean the market. Wash away your dirt at the earliest. Don't get annoyed from my writing, it is a nature call to cleanse the dirty Kerala, the God's own country. If the massive flood was happening Uttar Pradesh, you people, especially the media would have flown by now there to take pictures and laugh at your evenings. Do it now.